Happy New Year everyone! I’m kicking off my 2015 Farmers’ Market Tour at one of my favorite markets, The Fort Mason Farmers’ Market! I will be there this Sunday, January 11th, from 9:30 am – 1:30 pm playing my family friendly tunes. I hope to see you and your little ones rockin’ out with me at the market and shopping for gorgeous and delicious organic produce. To see a list of all the markets I will be playing in 2015 please visit my shows page. 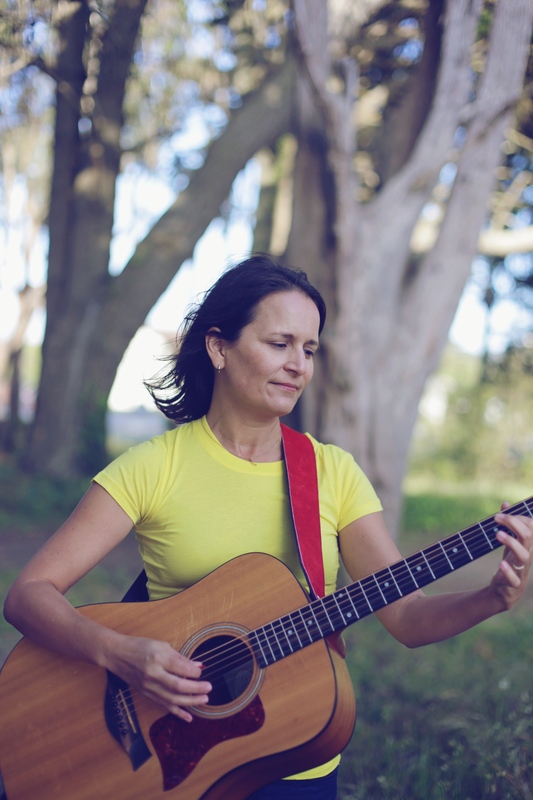 On Sunday, December 7th I will be performing at the Mill Valley Library for their monthly family event Special Sundays! I am so excited for this show! 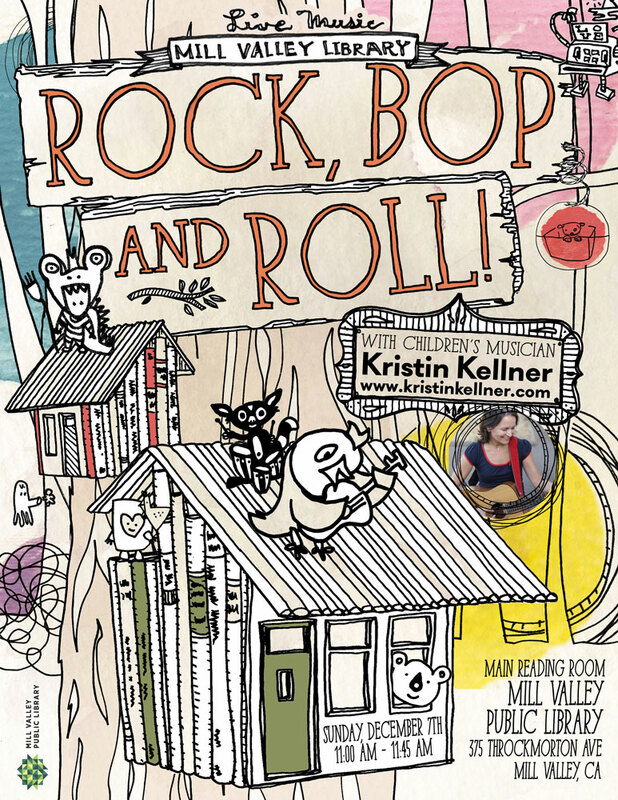 The Mill Valley Library has wonderful programs for kids and families including this monthly event! Past Special Sundays include performances by the SF Opera, dancers, magicians, marionettes and awesome children’s musicians such as Randy Kaplan, Asheba, and coming this December…ME! I hope to see you there for some rock ‘n’ rolling family fun! Just a quick note to let you know that I’ll be at the Daly City Farmers’ Market this Saturday from 9:00 am – 1:00 pm. 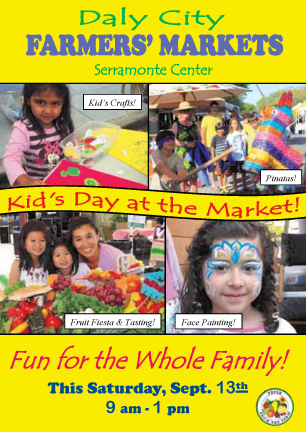 Hope to see you at Kid’s Day at the Daly City Farmers’ Market. 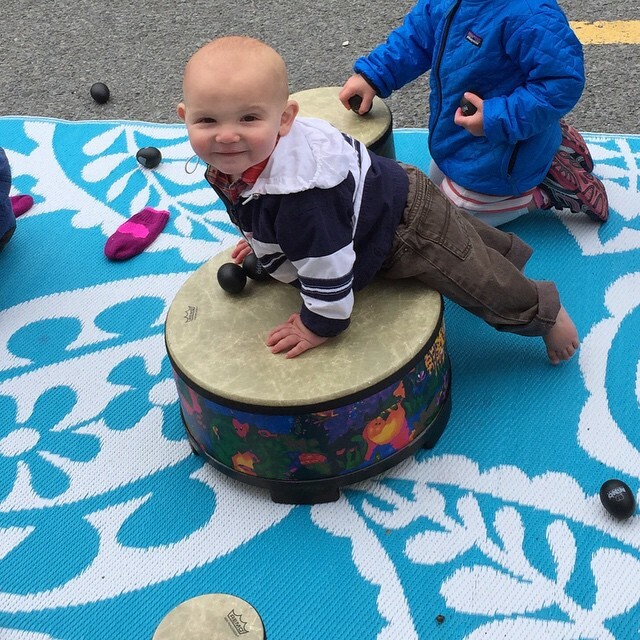 Kids Day at the Daly City Farmers’ Market! 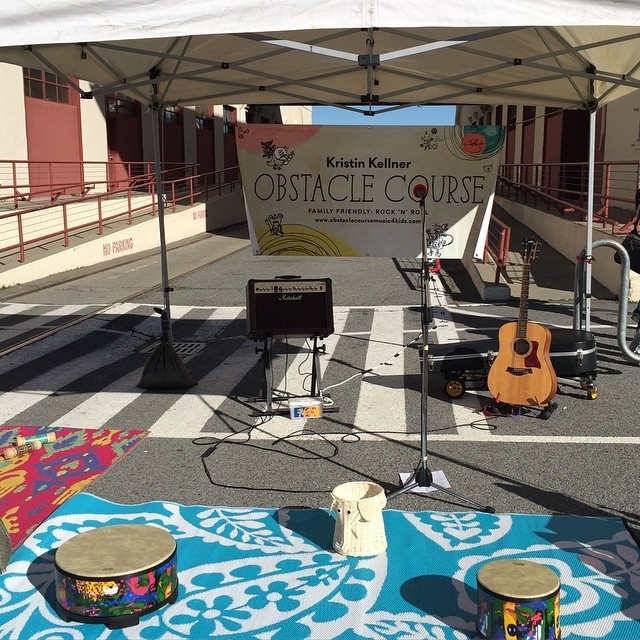 To celebrate the release of my album, Obstacle Course, I am playing music ALL WEEKEND LONG! Saturday, August 9th I will be at the Gilroy Farmers’ Market entertaining market shoppers from 9:00 am to 1:00 pm. I can’t wait to return to Gilroy. This is a sweet little market with awesome produce and super friendly vendors! Sunday, August 10th is my CD Release Party at Glammic. I love Glammic and I am so excited to perform there on Sunday. The party is from 12:00 pm – 4:00 pm and I will be playing music all day long. Come by anytime! I will be selling my CD at both events and I will have lots of instruments for the little ones to play! Please visit my shows page for details on both performances.